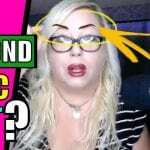 Trauma Bonded with a Narcissist? Take the test and find out. Are you dealing with trauma bonding? Are you dealing with trauma bonding? Take this quiz and find out. 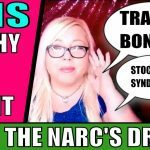 Trauma bonding is a condition that causes narcissistic abuse victims to develop a psychological dependence on the narcissist as a survival strategy during the abuse. This makes it much harder to let go when the relationship ends. Do you find yourself alternating between loving/missing the abuser and hating them for the things they've done to you? Yes, at least sometimes. No, never. Do you ever feel like, even though they abused you in some ways, you sort of owe your abusers something? (Example: they paid for you to go to school, or they gave you a place to live, or they did something else that in some way helped you out) Yes, at least some of the time. No, never. Do you worry about the abuser and what they will do without you? Do you feel like they NEED you and feel guilty about the idea of staying away? Yes, at least some of the time. No, never. Do you or did you secretly think you could help your abuser get better or improve somehow? Are you ever mad at yourself for not succeeding? Yes, at least some of the time. No, never. Do you ever think that, at least in some ways, you deserved the way you were treated because you did something to upset or anger the abuser? Something you KNEW would upset them? Yes, at least some of the time. No, never. Do you or did you find yourself making excuses for or covering up for your abuser's bad behavior? Yes, at least some of the time. No, never. Have you stood up for the abuser when someone tried to help you or confront them about their abuse, or about other kinds of toxic behaviors? Yes, at least some of the time. No, never. Do you or did you allow the abuse to continue in order to keep the peace with this person? Yes, at least some of the time. No, never. Do you or did you hide and cover up your negative emotions around the abuser in order to keep them calm or make them happy? For example, if you are angry or sad about something, do you pretend to be happy when the abuser is around? Yes, at least some of the time. No, never. Do you or did you just wish the abuser would love you and be nice to you, despite the way they've treated you? Will you or would you do or have done anything to get that love? Yes, at least some of the time. No, never. 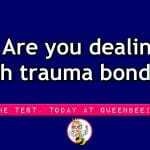 Trauma Bonding Quiz: Are you trauma bonded with your abuser?